Gather your employees by the fireplace and pull out some blankets, milk, & cookies because it’s story time! The CEO of a tech company (we’ll call her Jane) gave a speech at an important conference, and one of Jane’s employees (we’ll call him Bob), who was in charge of video creation for their company, recorded it with a video camera and posted it on YouTube. He then embedded the video on their company website, and it started getting lots of views. In fact, it started to go viral! All was right with the world . 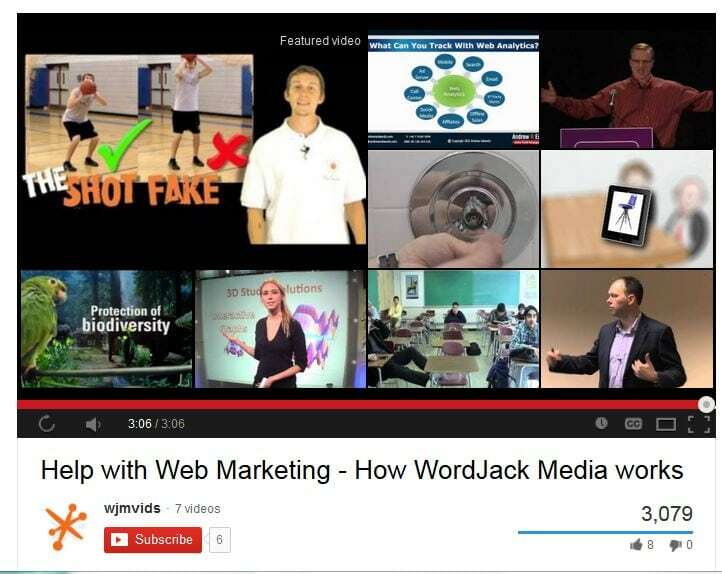 . . until one of their potential clients (we’ll called him Steve) watched the video, and one of the “suggested video” thumbnails that popped up at the end of Jane’s speech caught his eye, and he clicked on it . . .
That “suggested video” happened to also include Jane, although she definitely wasn’t giving a speech at a conference in this one. Instead, she was drunkenly singing “I Will Always Love You”, karaoke style, at her sister’s bachelorette party. While it gave him a good laugh, Steve’s professional opinion of Jane and her company dropped significantly, and he decided not to do business with them after all. Lucky for Steve (but not for Jane & Bob), another one of the suggested videos he encountered linked to a video from one of Jane & Bob’s competitors, so he clicked on that video, was won over immediately, and called them up for more information. How could Jane & Bob have solved this issue? Well, maybe Jane shouldn’t have shown her inner desire to try out for American Idol so openly, or maybe Bob shouldn’t have tried to unleash his newfound video creation skills . . . but in reality, those aren’t very good options. Instead, Bob should have just suppressed the “suggested videos” at the end of the YouTube video when he posted it on their website. 1. After your video creation is complete, upload it to YouTube, and visit its URL. 4. 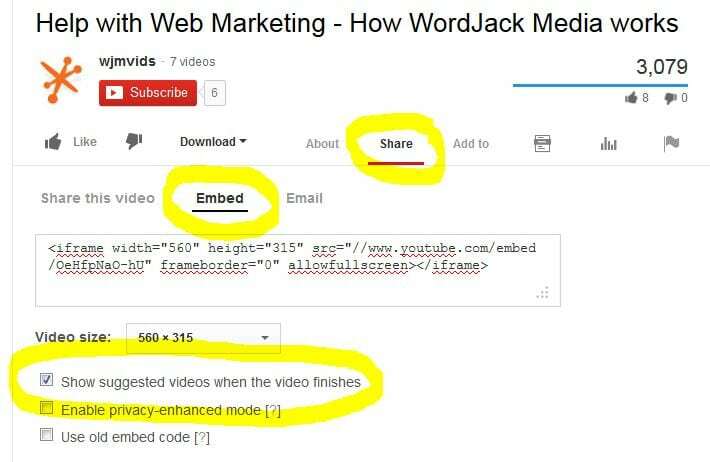 Use the given code in the box underneath “Share this video” to embed the video on your website. Voila! No more embarrassment, no more accidently linking to competitors, and no more annoying suggested videos! Awesome, eh? Have you learned any other cool tricks related to video creation or video marketing that your business has benefitted from? Share with us in the comments! Interested in professional video creation in Collingwood ON? Contact us at WordJack Media! Our services are designed to meet your advertising goals and are delivered each month as part of an affordable, hassle-free package. Give us a call today.